I was looking for something to read one night when I was home for Christmas and came across this book. I have really become interested in quilts since I first discovered Jennifer Chiaverini’s Elm Creek series. These novels set in the current day, but with strong historical themes, provide an easy to read and rich history of quilts. 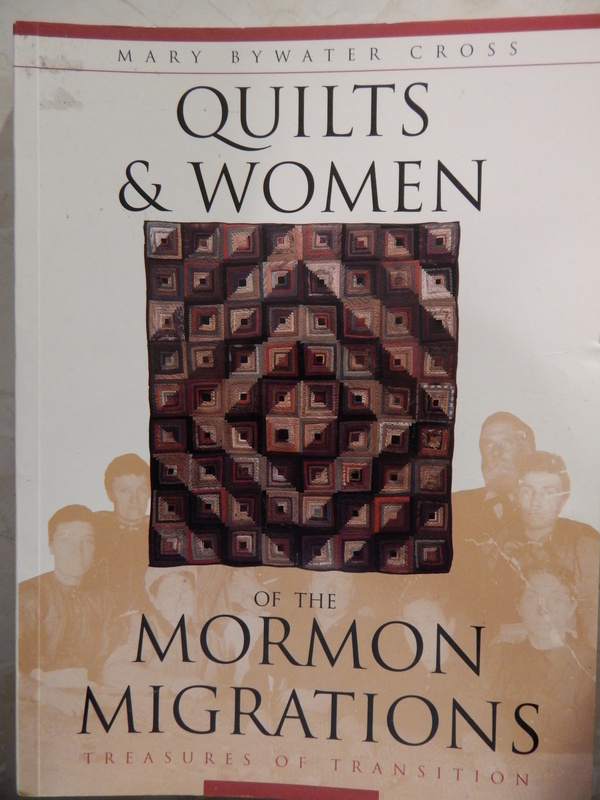 I was fascinated by the way the author pulled together a story about individual women involved in the Mormon migrations from the quilt(s) that they made. In the introduction she explains that she wants to tell the story of women using material culture. This is relatively new field of study focusing on the study of the role and meaning of historical physical items, such as quilts, that still survive. Cross carefully defines the qualifications for inclusion in her study, without any preconceived notions of which items will be included. Inclusion criteria included traceable history of the quilt from when it was made to the present, as well as the time periods and activities in which a woman must have been involved in with the Mormon church and migrations in the 19th century. The most interesting part of the book is how she studies each quilt and the woman who made it. She gives the name of the quilt pattern, along with a brief history of the pattern and any distinct characteristics of the quilt. A photograph of each quilt is included. She then gives a brief history of the woman who made it. While none of my ancestors are highlighted in the book, by reading through the biographies of the women and histories of the quilts, I am able to get a strong sense of what it was like to be a female Mormon pioneer in the 19th century. The photos and description of the quilts provide a reminder that this was a real person, not just a name and date on a piece of paper, that made these. How have you used material culture historical studies in your genealogical research?